As paramnews.com team has already analysed that Govt to adjudge on 7th CPC revised allowance before April 23, now Zee News and other media is also confirming that the report to be submitted on 18th April. A week after the "crucial" allowance committee meet under 7th Pay Commission, there is no official update on when the final report will be submitted. However, the Ashok Lavasa committee is likely to announce major changes in the salaries of the central government employees, a media report said. On April 6, the committee held a meeting to to decide on the higher allowances. The representatives of National Joint Council of Action (NJCA) also to joined the meeting. In June last year, after the implementation of 7th Pay Commission, Finance Minister Arun Jaitley had announced the formation of Lavasa panel , to examine the suggestions on allowance. 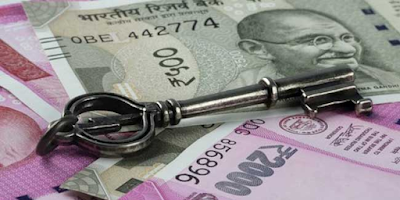 The 7th Pay Commission had recommended that house rent allowance or HRA be paid at the rate of 24 per cent, 16 per cent and 8 per cent of the new basic pay, depending on the type of city. The 7th Pay Commission had also recommended that the rate of HRA be revised to 27 per cent, 18 per cent and 9 per cent when DA crosses 50 per cent, and further revised to 30 per cent, 20 per cent and 10 per cent when DA crosses 100 per cent. With regard to allowances, employee unions have demanded HRA at the rate of 30 per cent, 20 per cent and 10 per cent. Now, after a lot of speculations on date of submission, according to a Zee Business, the committee is likely to submit report on April 18. After the last meeting, the committee had asked for some more time to finalise the report. Apart from allowances, the panel will also give suggestions on House Rent Allowances to the government. Under the 7th Pay Commission, HRA should be paid at the rate of 24%, 16% and 8% of the new Basic Pay, depending on the type of cities. Delay In 7th CPC HRA in View Of RBI First Bi-monthly Monetary Policy Report ? Now, after a lot of speculations on date of submission, according to a The Financial Express report, the committee is likely to submit report on April 18. the panel will also give suggestions on House Rent Allowances to the government. Under the 7th Pay Commission, HRA should be paid at the rate of 24%, 16% and 8% of the new Basic Pay, depending on the type of cities.